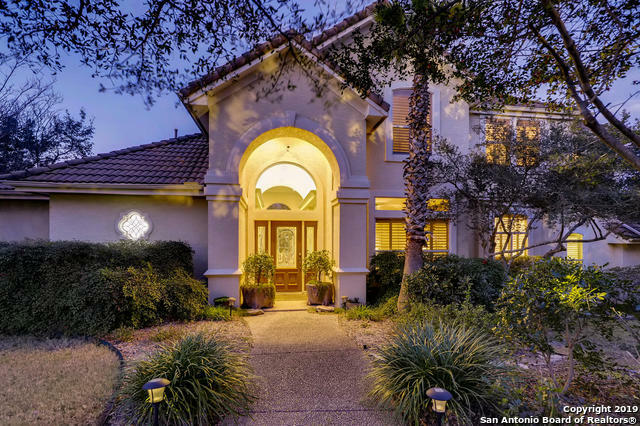 All CROWNRIDGE homes currently listed for sale in San Antonio as of 04/26/2019 are shown below. You can change the search criteria at any time by pressing the 'Change Search' button below. "*Open house Saturday 1-3-pm. You don't want to miss out on this 4/3.5/3 impeccable custom home. Chef's kitchen with granite and gas. Luxurious master suit and two guest rooms down and one guest room up. Family room with entertainment kitchen up. Stunning panoramic views of hilltops and wildlife from the covered patio and balcony." "Buyer Financing fell through:( Impeccable, airy Crown Ridge jewel with a landscaped backyard oasis offering a tremendous covered patio overlooking a sparkling pool and spa. Downstairs: 3 large bedrooms w/ walk in closets, 2 Full bathrooms. Master suite upstairs offering spa bathroom, views, and a balcony. Plantation shutters throughout, 2 great living areas, wonderful formal dining room with elegant, domed, ceiling. Open concept kitchen overlooking family room and backyard. 2 A/C units . 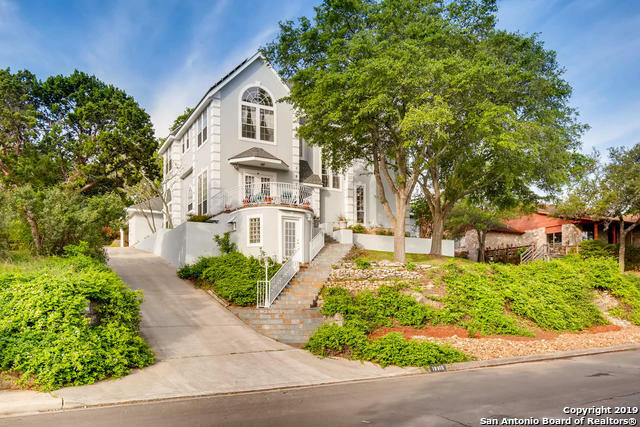 Roof re"
"Remarkable home exuding southern charm & offering inviting wrap around porch. Just over $45,000 in upgrades. Top of the line HVAC system, changed fixtures, fresh flooring & paint. Relax in front of the liv frplce. Ktchn features replaced island, granite counters, plus plenty of storage. Dining w/wood look tile flrs. Private mstr suite w/outside access, motorized blinds, over-sized walk in shower w/seamless doors & separate soaking tub. 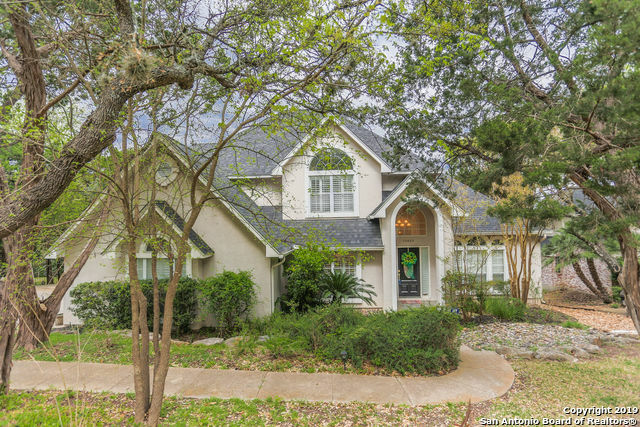 Bkyd perfect for entertaining w/over-sized deck, arbor, outs"
"Beautiful 2992 sq ft. 4 bedroom 3.5 bath stucco home on .61 acre on greenbelt with 4 hole putting green and T-box installed by Southwest Greens. Recently replaced roof, flooring, carpets, water heaters, one a/c, quartz counter tops in kitchen, granite in bathrooms, fixtures, stainless steel appliances, french doors, interior paint, subway tile in bathrooms and seamless glass door in master. Plantation shutters in all rooms. Tons of storage. Large re-surfaced deck to enjoy quiet evenings and"
"Gorgeous 4/3.5 home! Grand entry w/ high ceiling, tile flooring, natural light, & open concept. Carpeted living space w/ gas fireplace flows to tiled kitchen/dining combo. Complete w/ island/breakfast bar, pantry, & granite counter tops. Carpeted master bedroom w/ coffer ceiling, & view of backyard. Master bath w/ double vanity, separate shower & garden tub. Upstairs leads to lovely family room, carpeted bedrooms, & two full baths. 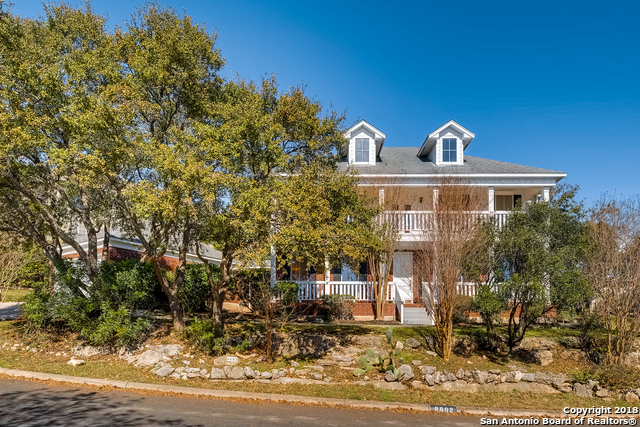 Massive private backyard w/ beautiful hardwood decking w/ a wond"
"One of the only NEWER one story home of its class in the La Cantera area, with beautiful Texas Hill Country views. Open and airy floor plan, rich wood floors and abundance of natural light. Beautiful kitchen featuring granite countertops, custom cabinetry, breakfast bar, and stainless steel appliances. Separate dining room. Luxurious master with full bath, to include large walk in shower and double vanity. Balcony perfect for relaxing with a book on a warm Texas evening. 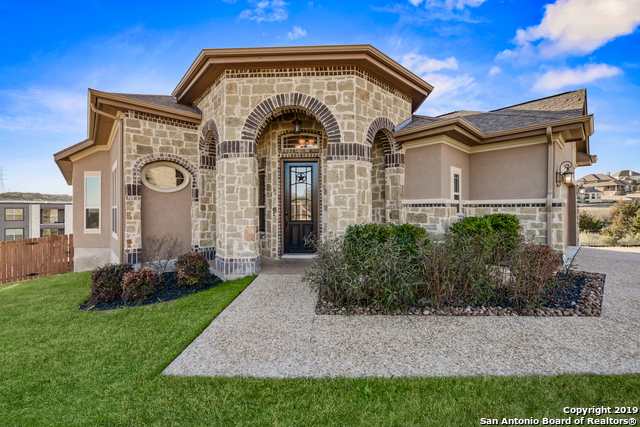 Minutes from La Cantera "
"Beautiful hm,located in desirable Crownridge, is great for entertaining both indoors and out. This hm is almost 3,000 sqft w/ a open floor plan layout & with sizable bdrms. New & rare long leaf pine floors installed! 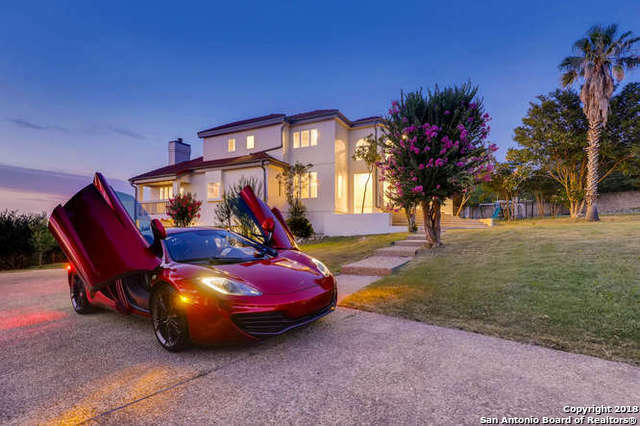 The hm offers views of the La Cantera golf course on 1 of 2 long front porches. The backyard has a private deck w/ a large yard. Oversized detached garage w/ covered walkway. Brand new roof was just installed! The hm is close to shopping, highly desirable schools and easy access to "
"Magnificent City View from second floor, This house offer Master Bedroom dwn stairs including his and her closet + double vanity, 2nd master on second floor, well insulated, double water heaters & a/c, level over size patio Great Private Club house with tennis, basketball court, swimming pool"
"Immaculate two story on a cul-de-sac in coveted Crownridge! 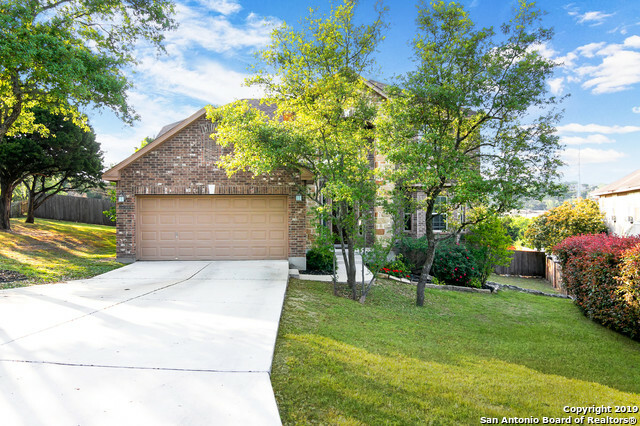 Located minutes from Fiesta Texas, La Cantera, The Rim, Boerne and 1604, this small and quiet neighborhood has a secluded feel with the all the convenience of the city. Only 4 miles from HEB, this home boasts a new roof, new exterior paint, freshly sodded backyard and covered deck in backyard. Master Bedroom down while master bath includes dual vanity sinks, tub and stand up shower. All this beauty for a remarkable value, come make it y"
"Well maintained two story home w/3 bedrooms and 2-1/2 baths! Original owner! Small gated community. Kitchen has island, tile backsplash, & garden window. 5 burner gas stove-2014. D/W & micro-2013. Family Room w/17 foot ceilings,laminate floors, & fireplace with gas logs. All bedrooms upstairs. Master bedroom has high ceilings & two closets. Refrig stays.Shady,small backyard. Storage shed. Cul-de-sac & next to greenbelt. Small community park at end of Evening Trail. AHS warranty-$625, incl sell"